Icebreaker on Google Slides works with Google Classroom and Google Drive. Technology integration and movement! Easily integrate Google Classroom or Google Drive™ online storage service into your back to school plans with this Digital Scoot™ for Google Slides! 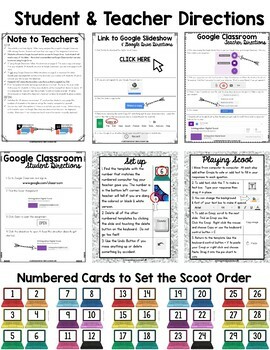 My “Scoot” games offer a technology twist on the traditional Scoot game! 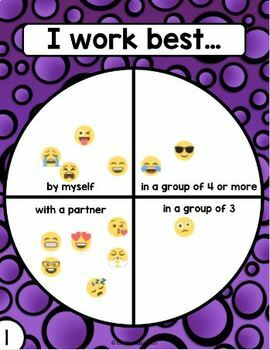 Instead of a paper task card, students set up a template on Google Slides then scoot from computer to computer adding responses with text and Emojis! My detailed visual directions make it easy for all ages & teachers of all technology levels. ★ Student Learning Inventory templates - 30 different questions for students to respond to (available digitally with included link). Questions are in blackline too! ★ Teacher & student directions for setting up, downloading and sharing Google Slides with students using either Google Drive or Google Classroom. 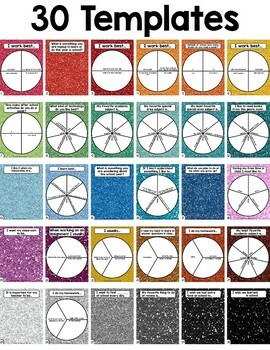 ★ 30 Color & Blackline numbers to print and hand out prior to the game so students know where to "Scoot." ★ Student directions to the game are available RIGHT in the slides for quick access. I make sure my technology integration resources have everything you need to get started - you do NOT need to know how to use the apps yourself! You and your students will need Google Drive accounts either individual or a shared account. You will also need access to a computer, laptop, or Chromebook for each student playing. 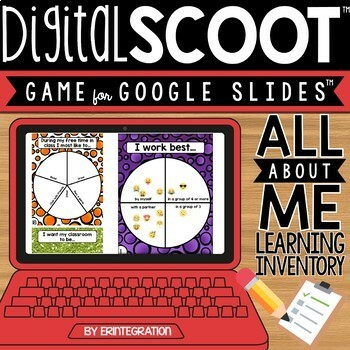 This Digital Scoot game is also available for iPad® mobile digital devices. Google and Google Apps are trademarks of Google Inc. © 2015 Google Inc. All rights reserved. Erintegration is not affiliated with and has not been authorized, sponsored, or otherwise approved by Google Inc.